A curious leopard entered a family's home earlier this week - but before anyone was injured they managed to lock him in a room in the basement. The family quickly alerted local police, who, in turn, called upon Wildlife SOS, which sent a team of five rescuers to retrieve the trapped animal. 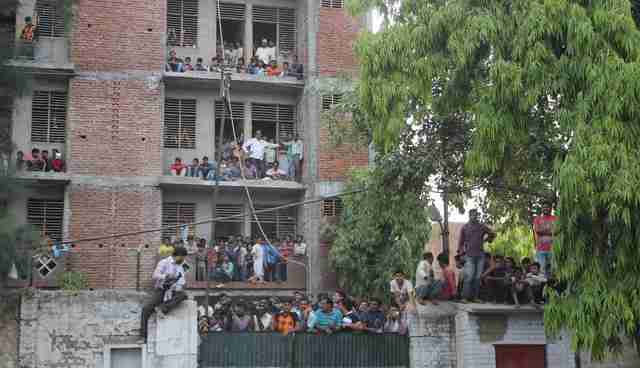 By the time they arrived, 4,000 people had gathered outside the home in New Agra, India, to witness the rare occurrence. 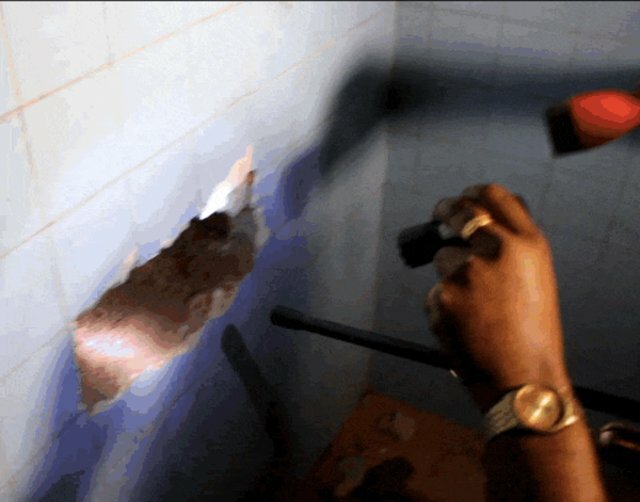 Rescuers cut a hole through the wall in order to tranquilize the leopard without opening the door and allowing him to escape. They inserted a camera through the hole to locate the leopard. 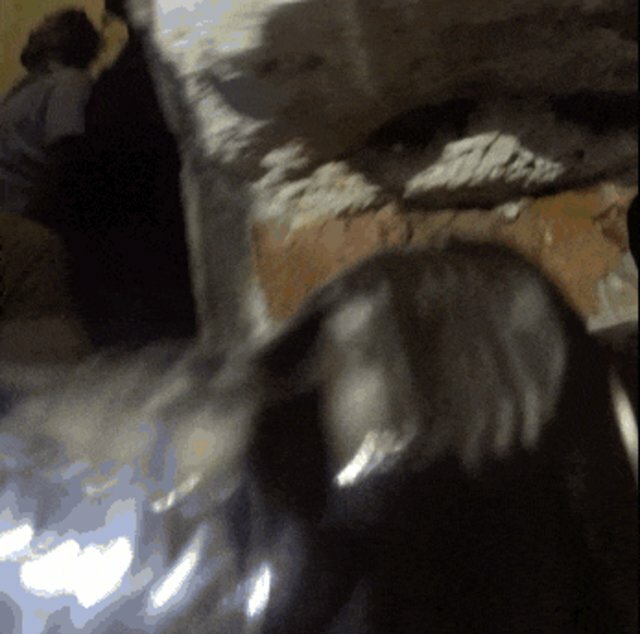 The stressed leopard also examined the hole, sticking his paw through the wall to try to reach his rescuers. Four hours had passed by the time the team, led by a veterinarian, had managed to clear the crowds, drill the hole, tranquilize the leopard and bring him to Wildlife SOS's rescue center for observation and treatment. "Rescue operations can be dangerous and need careful planning in order to ensure the safety of the animal as well as the people," Dr. Illayaraja, the veterinarian on the scene, said in a statement. "The leopard is a 4-year-old male that had sustained minor injuries on its forehead during the ordeal, for which it is receiving treatment. We are planning on releasing it back into its natural habitat, once it has recovered." Habitat loss is among the greatest threats facing leopards in India today, along with poaching. Fortunately, this leopard is expected to make a quick return to the wild after his brief journey into the human world. 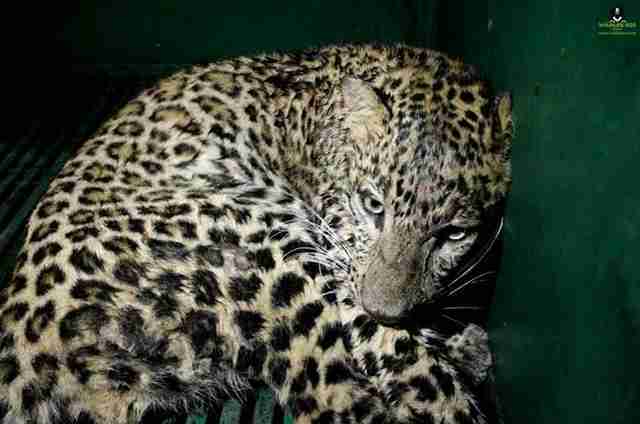 To help this leopard and other animals like him get back where they belong, you can make a donation to Wildlife SOS here.